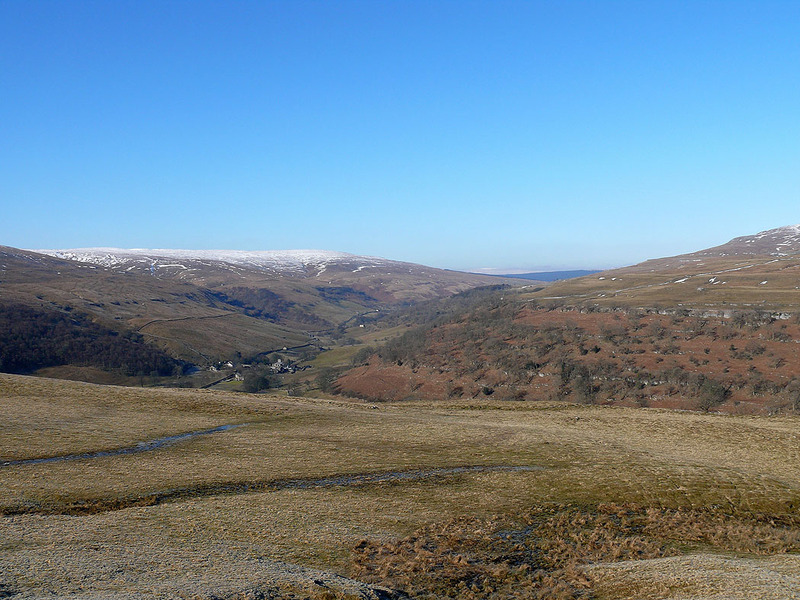 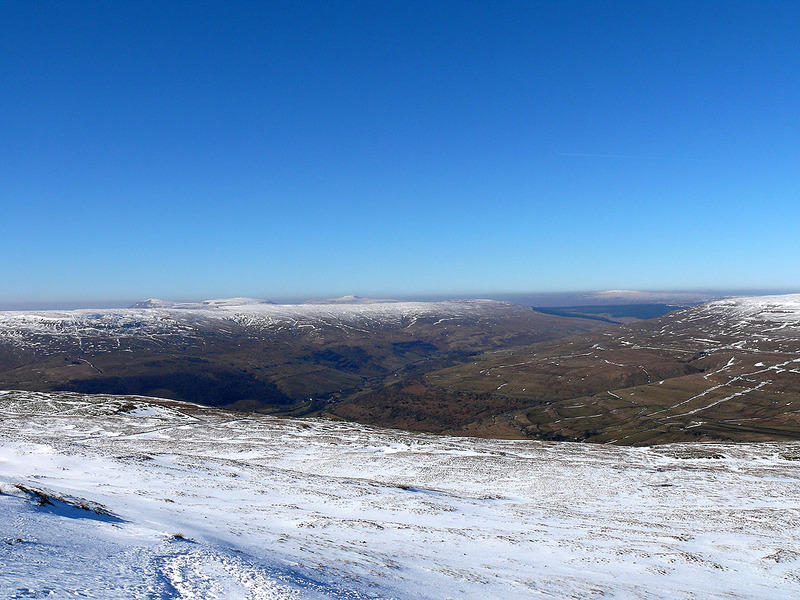 A route over Buckden Pike and Great Whernside with the return from Kettlewell to Buckden by the Dales Way. 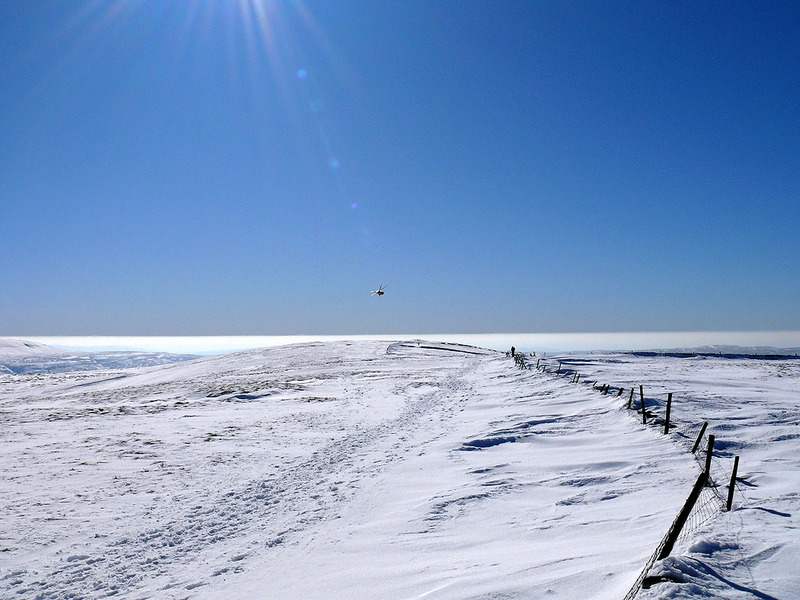 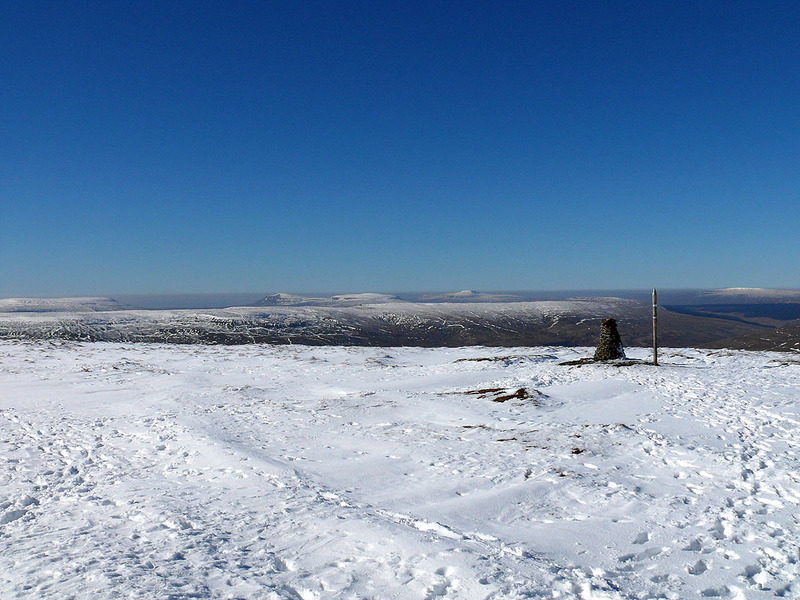 Nearly at the summit of Buckden Pike. 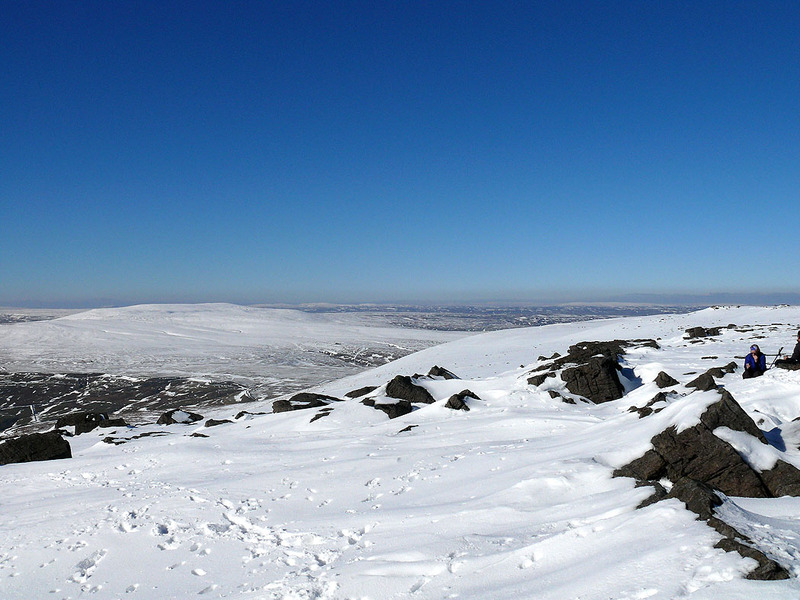 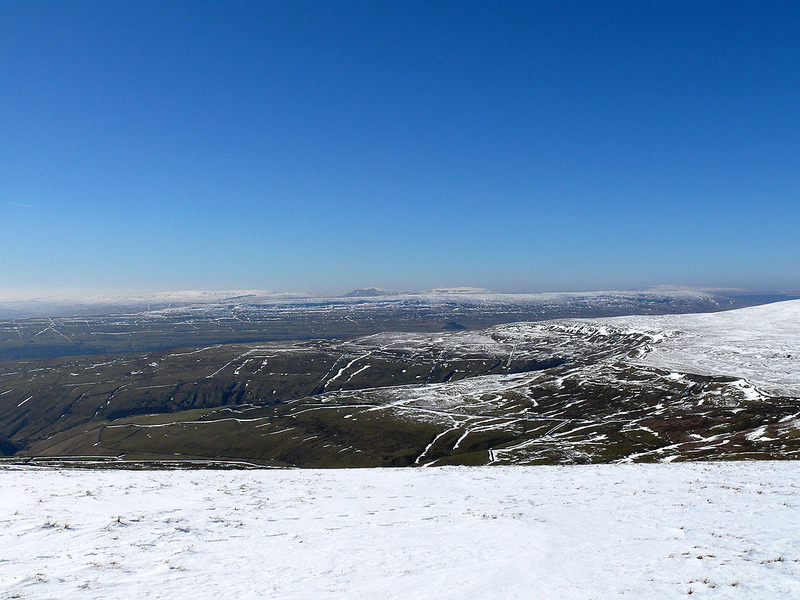 Penyghent and Ingleborough come into view on the left. 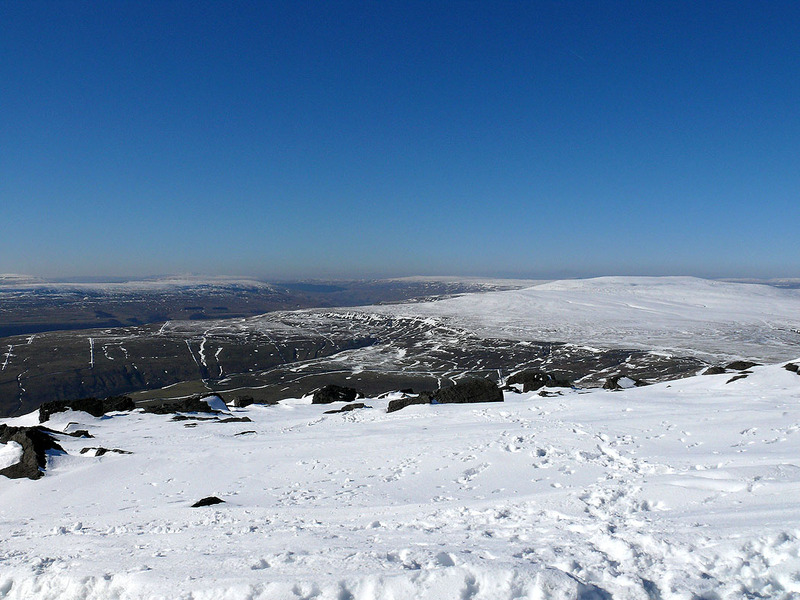 A view to the north. 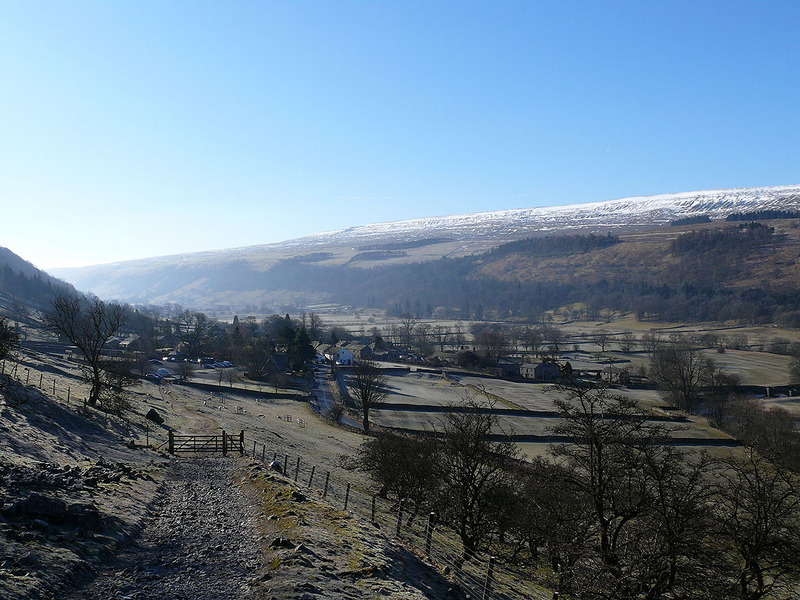 The valley running down to the right is Bishopdale which leads into Wensleydale. 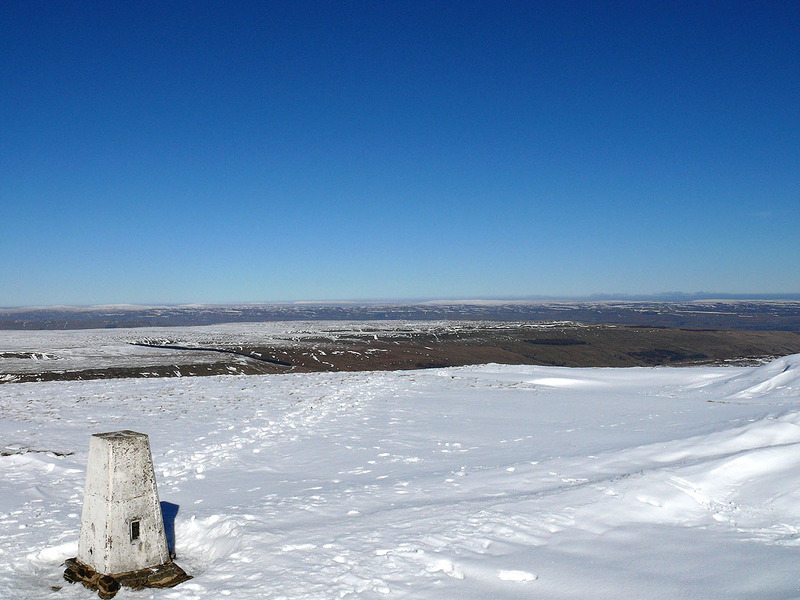 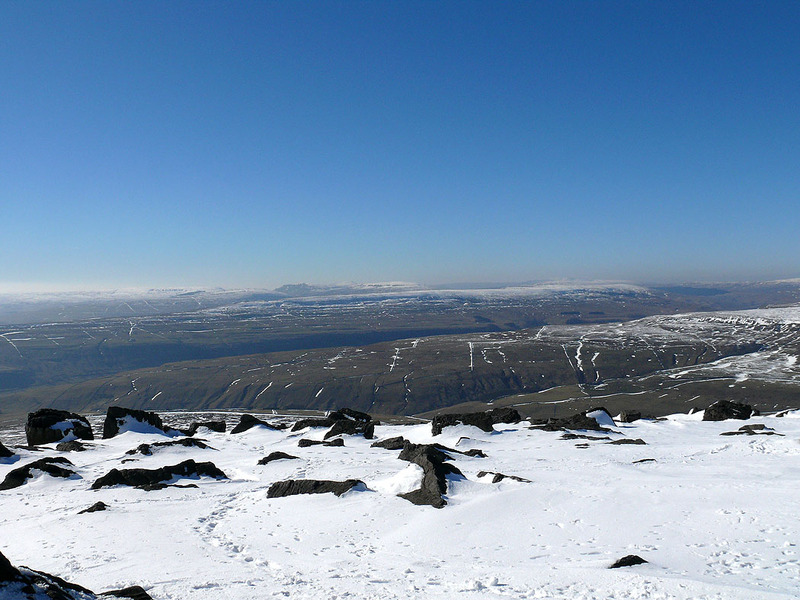 Great Whernside, my next destination. 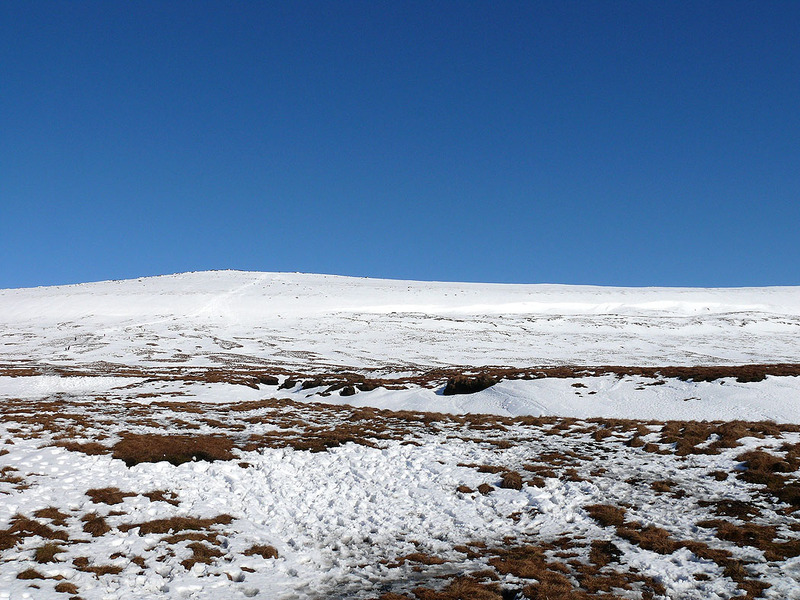 Looks a long way from here. 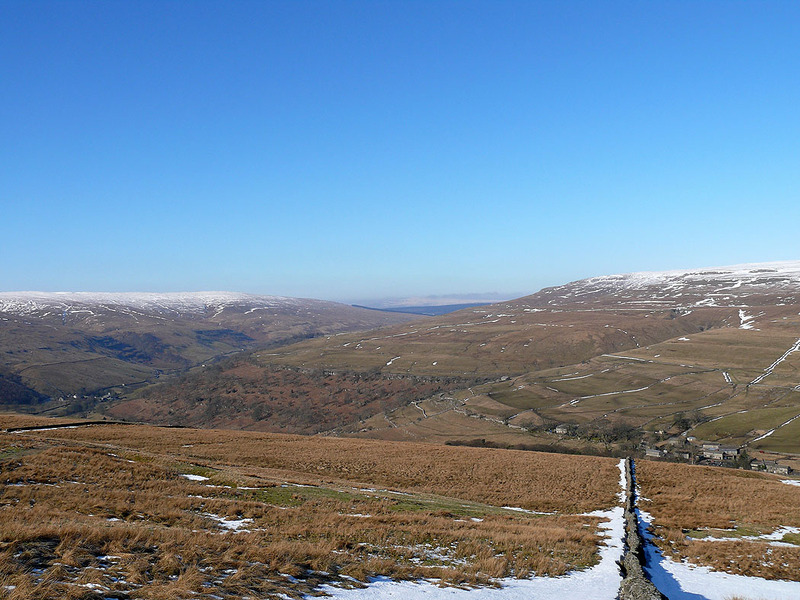 The route ahead to Great Whernside. 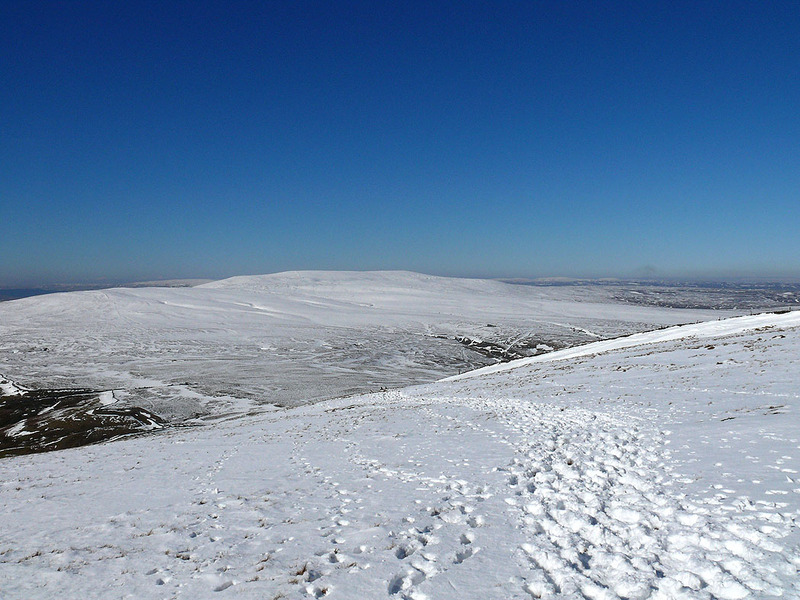 This would normally be very wet and boggy but the cold weather has frozen the ground solid and made the going much easier. 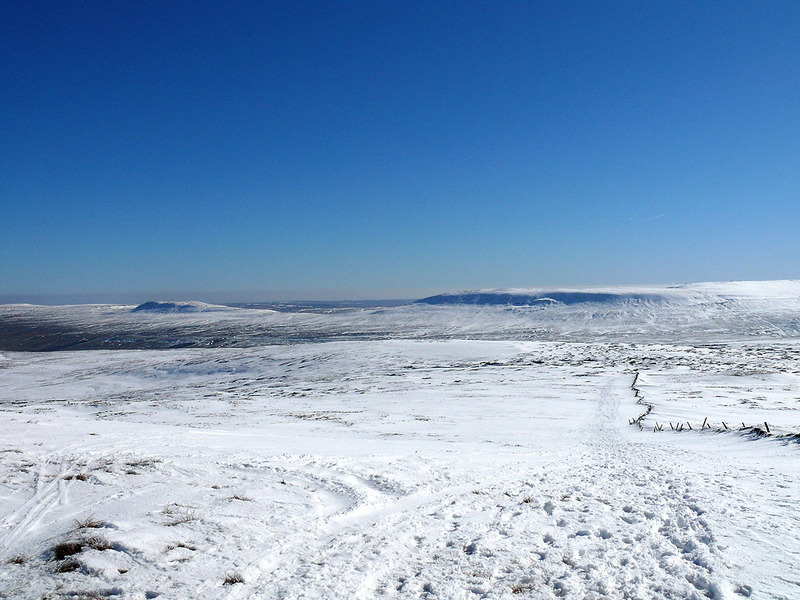 Ascending Great Whernside. 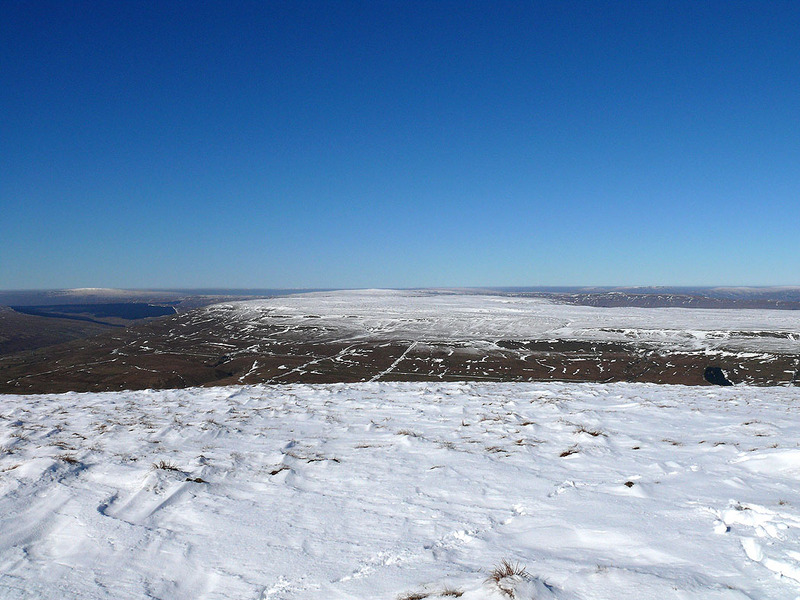 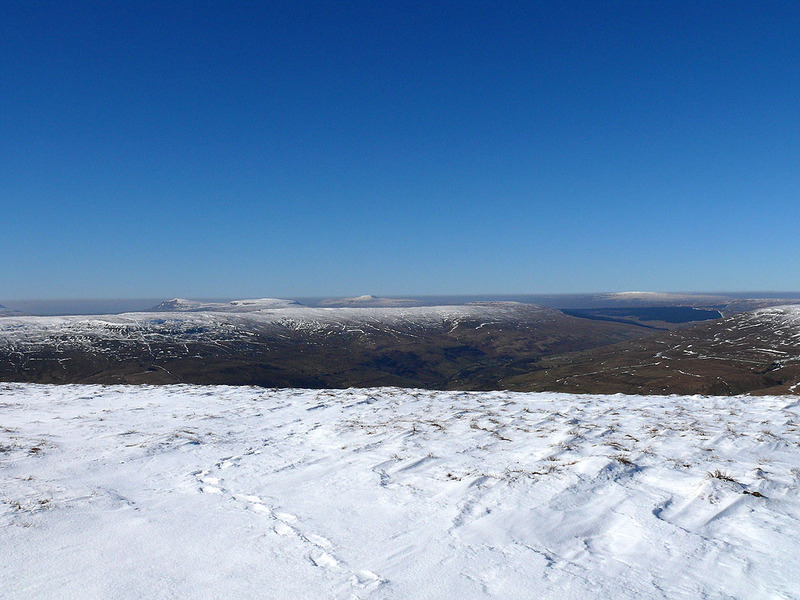 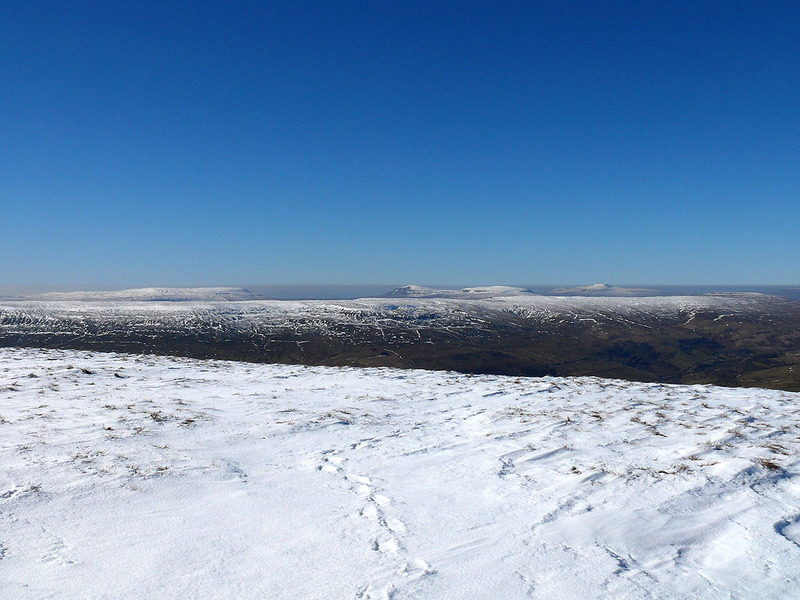 The slopes of Buckden Pike in the foreground. 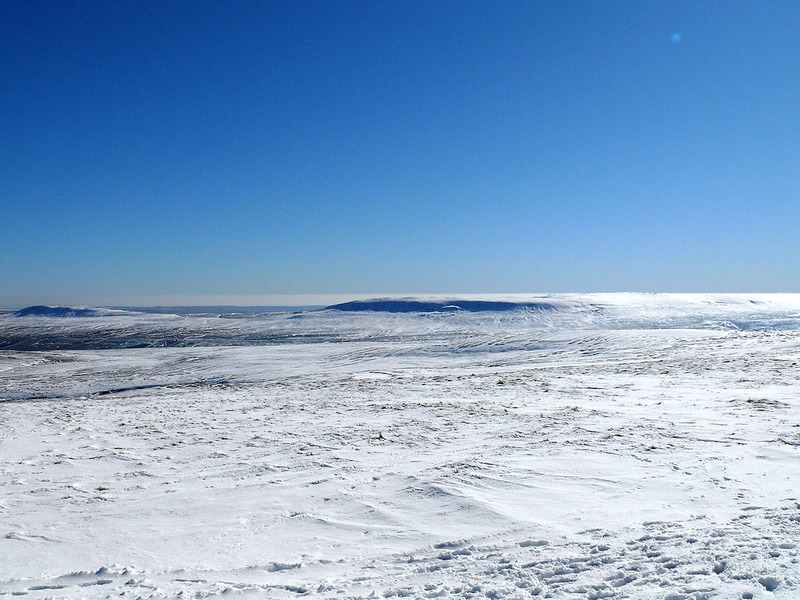 On the way down from Great Whernside. 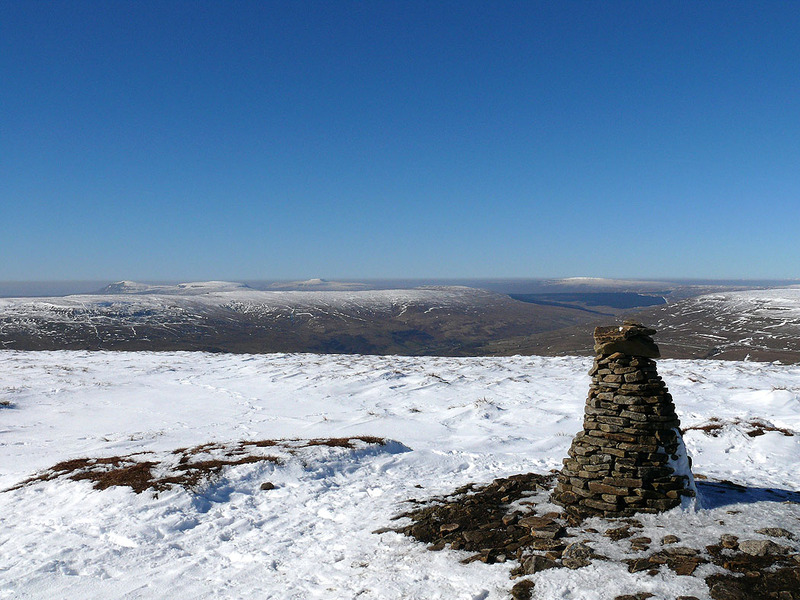 The rocks at the summit can be seen on the left. 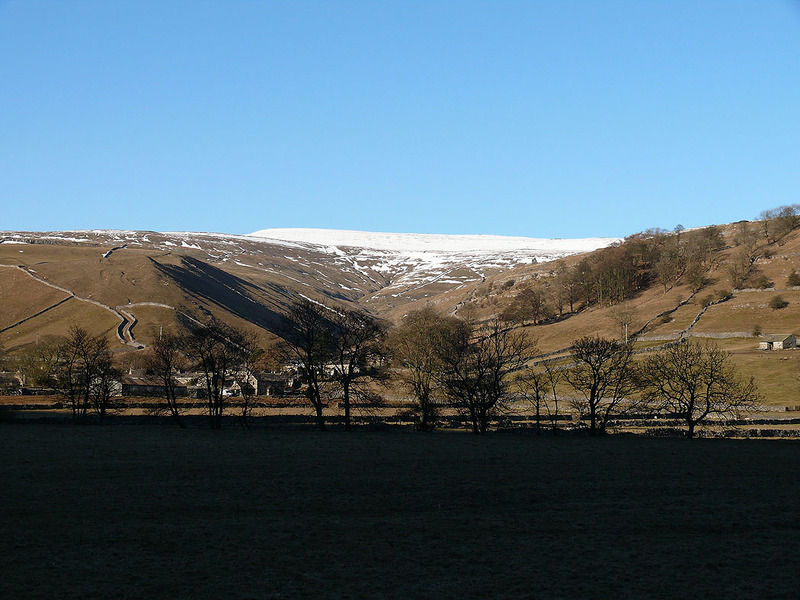 Looking back up to Great Whernside from the route down into Kettlewell. 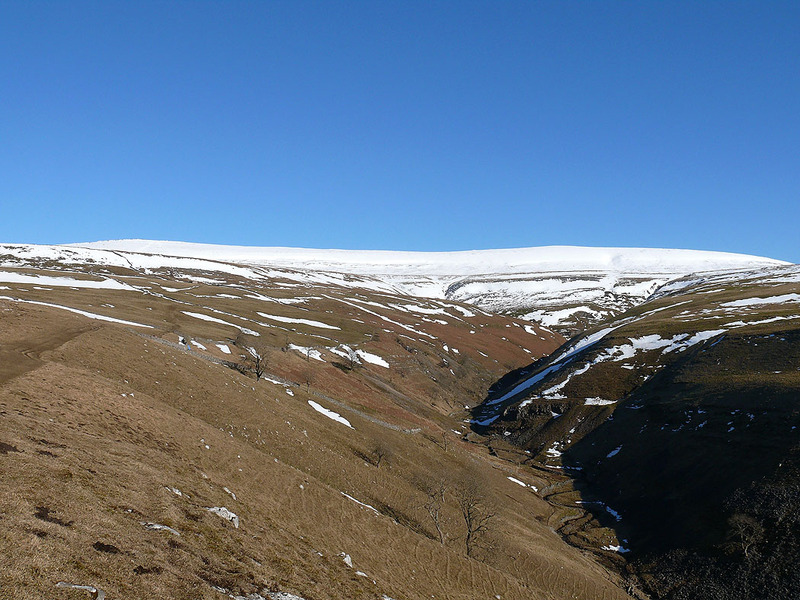 Dowber Gill Beck is below on the right. 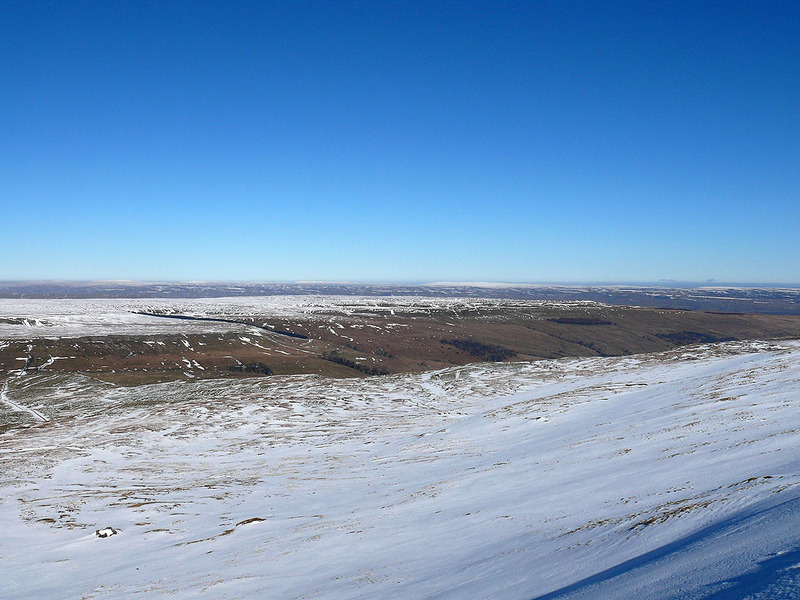 Starbotton below Buckden Pike. 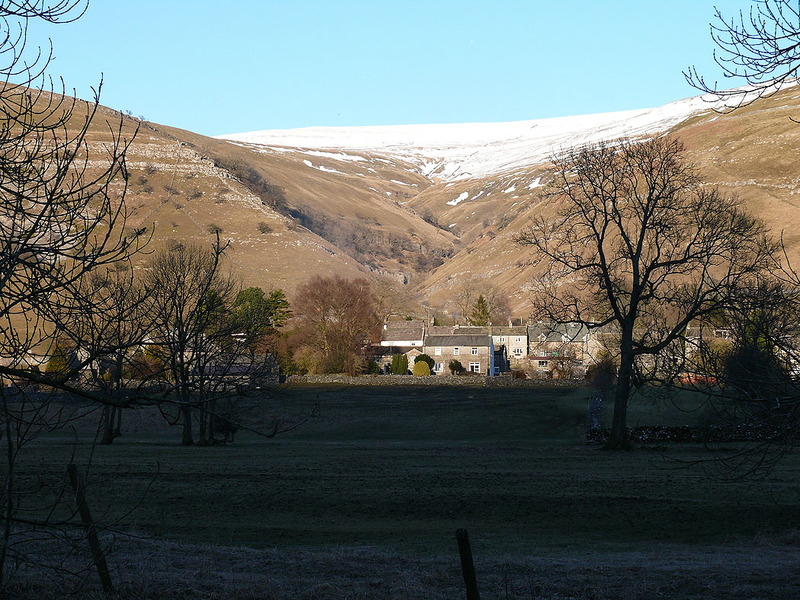 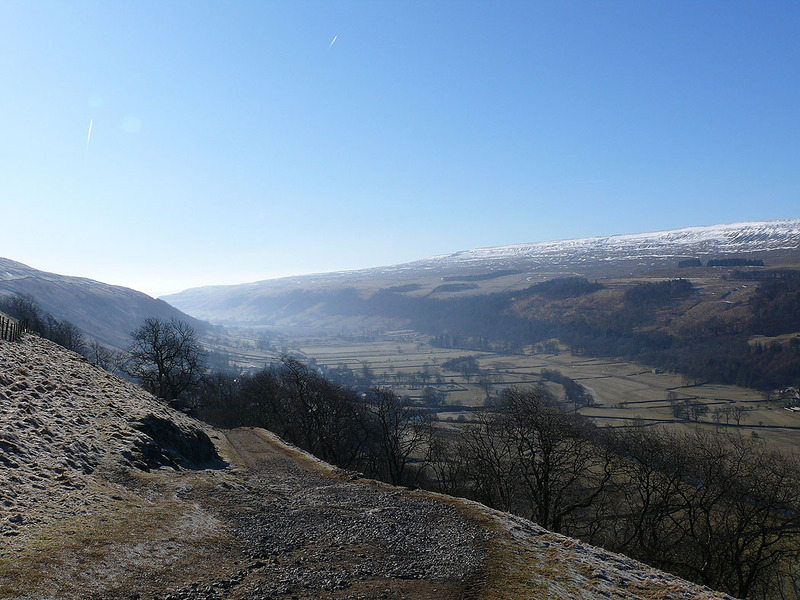 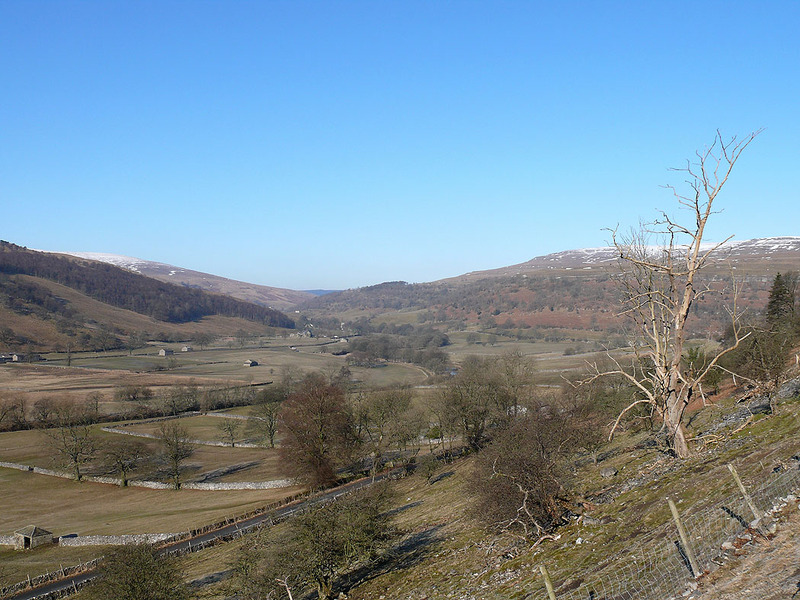 The route back to Bucken follows the Dales Way beside the River Wharfe.